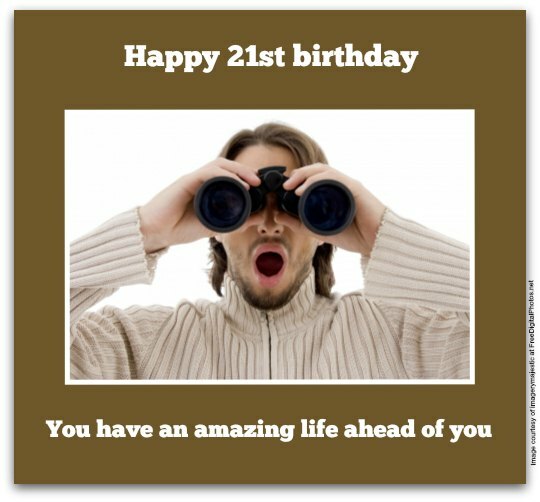 When you need to choose 21st birthday wishes, try to keep in mind that turning 21 is a milestone — so your birthday message should be milestone worthy. Fortunately, that's the only type I have on this page. What makes a birthday greeting milestone worthy? For a 21-year-old birthday girl or boy, this means that you need to pick 21st birthday messages that bring a sense of pride, inspiration, confidence, comfort and joy to him or her. "Drinking" jokes won't cut it. At the age of 21, it's quite hard to navigate the world of young adulthood. A sense of pride, inspiration, confidence, comfort and joy could make all the difference. Accordingly, choose a birthday greeting that can do it all. When someone turns 21, they legally become an adult in many countries, with the legal right, for example, to buy and drink alcohol, gamble, vote, even rent a car. At 21, many boys and girls also have the money and desire to indulge in these activities. This can make hitting 21 a mixed blessing for them, especially if they indulge a little too much. If the birthday boy or girl can take a joke, select a birthday wish that pokes fun at them (about, say, picking up the bar tab or losing constantly at the casino tables). But pick messages with a light-hearted approach — nobody likes mean-spirited insults cloaked in jokes (in other words, the old "truth in jest" route). That's just offensive — and you don't want to be offensive. You want to be funny. If the recipient of your birthday greeting is the serious type, the "birthday message" playing field opens up quite a bit. You can choose birthday wishes that are clever, cool, inspirational or sentimental in tone. You could simply encourage the birthday boy or girl to grow up (if you think he or she lacks the maturity of a typical 21 year old). 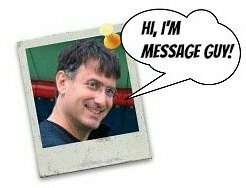 You could also pick a greeting with the opposite slant: a message that congratulates him or her about their mature, responsible attitude. 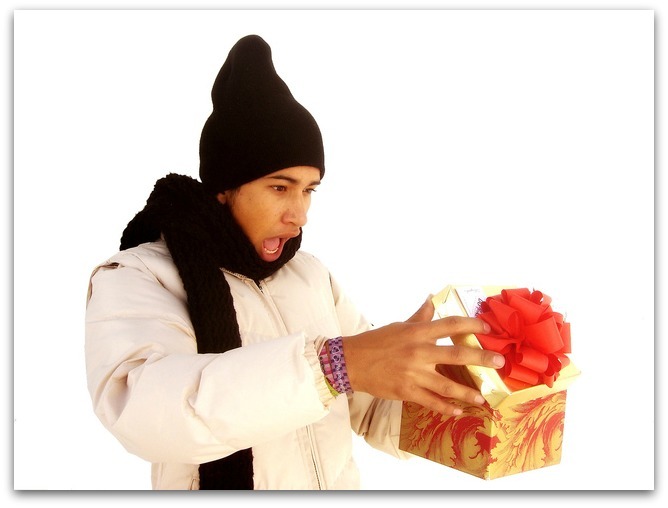 You can even opt for a birthday wish that welcomes the birthday boy or girl to young adulthood. Whether you go the funny or serious route, be sure to choose a positive birthday message that you would like (or would have liked) to hear at 21. Don't know what advice to give? Click here to take a quick look at the advice Cosmopolitan has for 21 year olds right now! When I turned 21, the times were simpler, slower...and boooring! Today, 21 is your ticket to a new and exciting world. It's time to celebrate! Happy 21st birthday! Bravo, you're 21 and legal! Time to throw out your collection of fake IDs. Happy 21st birthday! Now that you're 21, you've got plenty of catching up to do in the drinking department. Happy 21st birthday! Congratulations on turning 21. Now you're old enough to pay for your own drinks. May your 21st birthday be even more wonderful than you ever expected. If there's anyone who deserves a truly special day, it's someone as special as you. 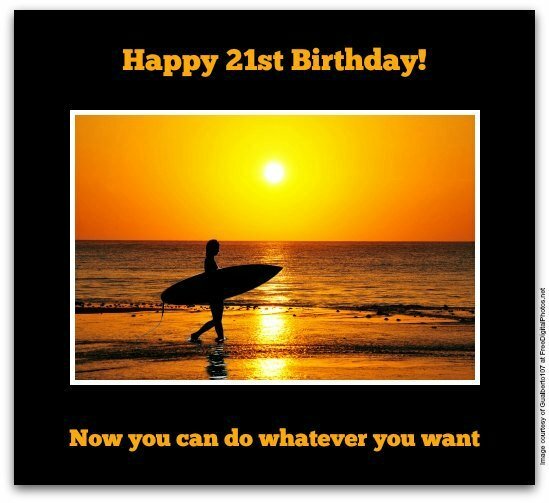 This 21st birthday wish is inspirational with the right amount of irony to encourage the most jaded of 21-year-old birthday boys or girls to leave behind childish wishes and aspire to more. That's a message every 21 year old should hear. When you were a kid, you couldn't wait to grow up, be an adult and do whatever you wanted. Today, you're 21, all grown up, an adult and able to do whatever you want. Now what? At your age, you have the rest of your amazing life right in the palm of your hands...along with a stiff drink and a one-arm bandit slot machine. Happy 21st birthday! May you live long, prosper early, laugh heartily and love deeply. Happy 21st birthday! You've just turned 21. Your whole life is ahead of you. Take the road less traveled and stop along the way to enjoy the scenery. Happy 21st birthday! At 21, you have the legal right to drink, gamble, rent a car and get your parents to pay for it all. Happy 21st birthday! At 21, a whole new era, filled with adventures, mishaps and life lessons, is about to start. Enter with your eyes and heart open. Happy 21st birthday! Wishing you a happy 21st birthday welcome to a world of drunken nights, lost weekends and wild spring breaks! Your life is just about to pick up speed and blast off into the stratosphere. Wear a seat belt and be sure to enjoy the journey. Happy 21st birthday! Wow, you're 21. You can do so much now. But don't do everything all at once. Spread it out — you have many years and hangovers ahead of you! Happy birthday! Happy birthday! Started making 21st birthday wishes yet? Don't forget to wish for more love, peace and happiness than you and the world will ever need.